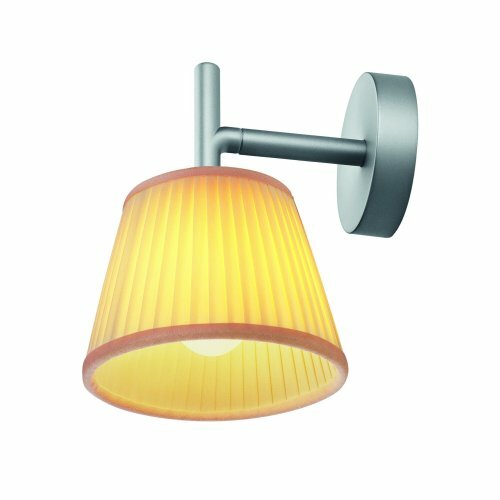 A wall lamp that catches your eye: The Romeo Babe Soft W by Flos combines classic elements with a modern influence. The cylindrical lampshade made of cream-coloured pleated fabric is reminiscent of the style of the 70s. The straightforward shape of the lamp holder and its silver grey colouring put an interesting contrast to the shade.